Casinos have potential for high revenue and profit, and not just because of the slots and tables where patrons test their luck. Your casino can make money from housing guests in rooms, organizing special events, and the food and beverages consumed by those who play. But serving so many people spread out around the casino can be difficult. While it’s typically handled by servers who must constantly move throughout the floor, we at eTouchMenu think there’s a better way. A typical slot player might stay at a machine for 15 minutes before getting antsy and shuffling off to order a drink. The process of finding a server to order something takes time away from the next slot machine. That’s money out of your casino’s pockets. eTouchMenu offers premium digital menu software on a variety of devices that could change the rate at which your patrons play. For instance, that same slot player might be more inclined to stay put if he can order a drink or appetizer from a digital menu kiosk a few paces away. By setting up these digital podiums across the casino floor, you’re amplifying your opportunity to make money on food and beverage sales while also keeping players in their seats longer. Our recommendation: Set up a kiosk at every row of slots. Include an option in the order for a machine number or simply send the server to that section of slot machines for delivery. This process would save time for your servers, cutting down on the need to keep them present on the floor and even reducing labor costs, and increase player satisfaction. A similar system can be utilized for casino tables. Outfit each table with a digital menu on our eTouchMenu tablet device. 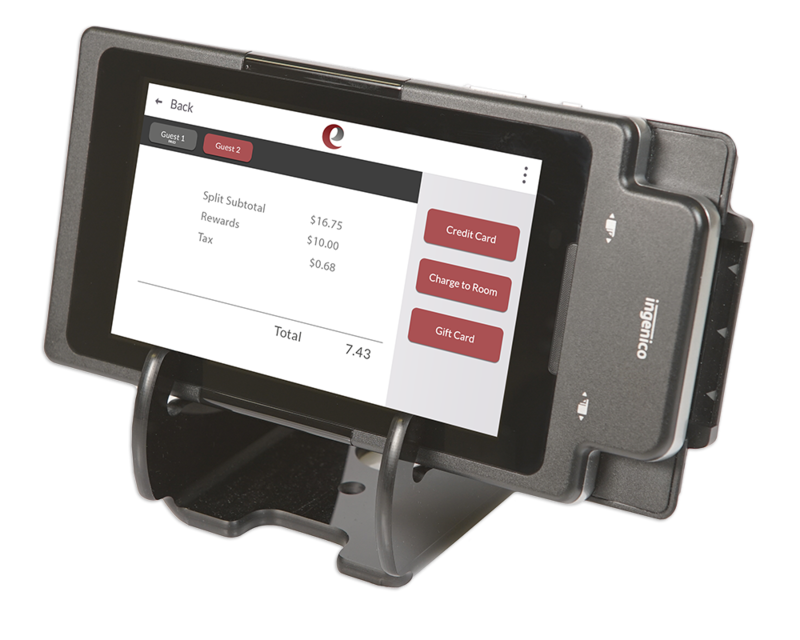 Anytime a player wants to order, the dealer can present the device for a simple, all-in-one order and payment process. In this way, you keep your card and dice players on their “hot streak” longer by serving food and beverages directly to them. Buffets are important F&B options in casinos and key visitation strategy for operators. We improve this strategy by getting guests into and thereby out of the buffet in a more efficient, timely with guest self-serve payment solution. 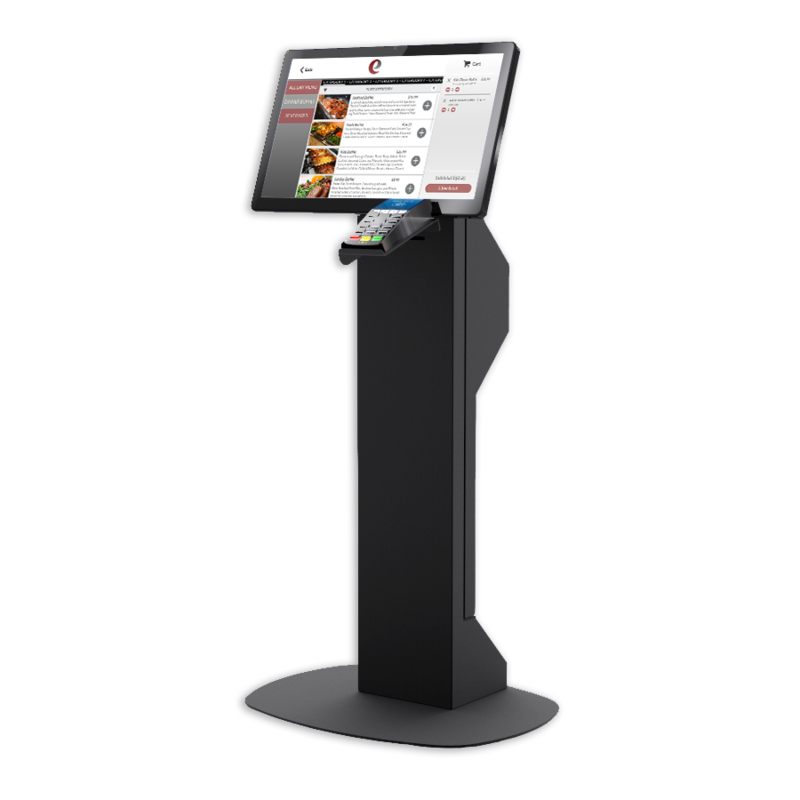 No need to wait in line, our kiosk solution delivers fast intuitive guest experience. Our kiosk solutions can include loyalty currency, promotions and offers, tier discounts, gift card options and charge to room functionality. These options improve the player experience and deliver a complete solution not available with any other provider.